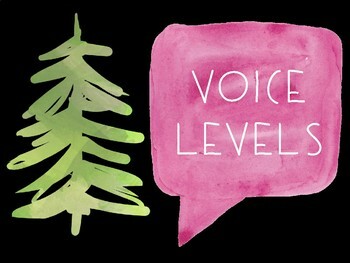 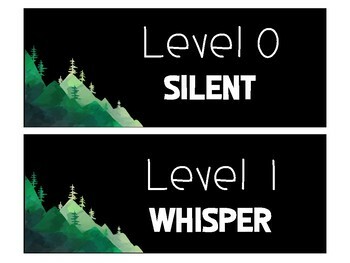 Mountain Themed Voice Level Posters to display in your classroom as a tool to manage student's voice levels. 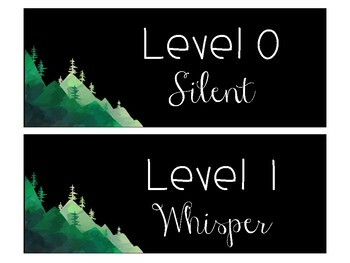 There is a version with a black background/white font and a white background/black font. 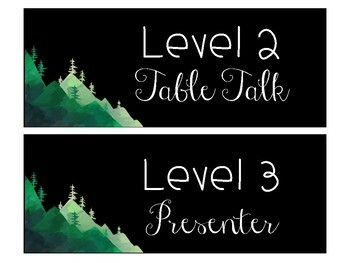 There are also two version of each with different font so you can choose what you prefer for your classroom!